Virtualization software if you don’t wish to run NST as a LiveCD or install to dedicated hardware. As I write this I’m on the way back from SANS Network Security in Las Vegas where I’d spent two days deeply entrenched analyzing packet captures during the lab portion of the GSE exam. During preparation for this exam I’d used a variety of VM-based LiveCD distributions to study and practice, amongst them Security Onion. There are three distributions I run as VMs that are always on immediate standby in my toolkit. They are, in no particular order, Doug Burk’s brilliant Security Onion, Kevin Johnson’s SamuraiWTF, and Back Track 5 R3. Security Onion and SamuraiWTF have both been toolsmith topics for good reason; I’ve not covered Back Track only because it would seem so cliché. I will tell you that I am extremely fond of Security Onion and consider it indispensable. As such, I hesitated to cover the Network Security Toolkit (NST) when I first learned of it while preparing for the lab, feeling as if it might violate some code of loyalty I felt to Doug and Security Onion. Weird I know, and the truth is Doug would be one of the first to tell you that the more tools made available to defenders the better. NST represents a number of core principles inherent to toolsmith and the likes of Security Onion. NST is comprehensive and convenient and allows the analyst almost immediate and useful results. NST is an excellent learning tool and allows beginners and experts much success in discovering more about their network environments. NST is also an inclusive, open project that grows with help from an interested and engaged community. The simple truth is Security Onion and NST represent different approaches to complex problems. We all have a community to serve and the same goals at heart, so I got over my hesitation and reached out to the NST project leads. 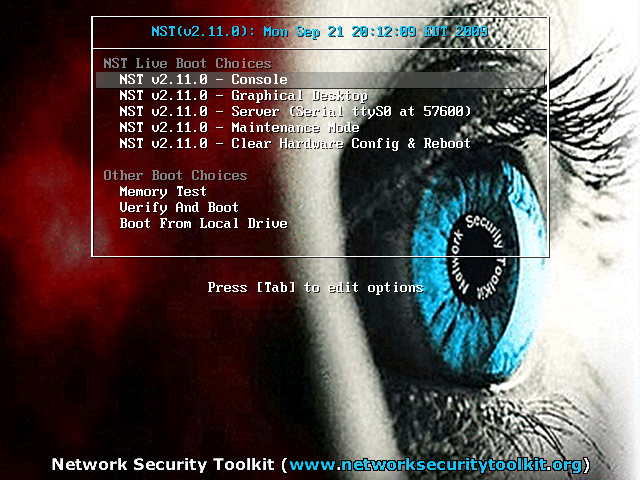 The Network Security Toolkit is the brainchild of Paul Blankenbaker and Ron Henderson and is a Linux distribution that includes a vast collection of best-of-breed open source network security applications useful to the network security professional. In the early days of NST Paul and Ron found that they needed a common user interface and unified methodology for ease of access and efficiency in automating the configuration process. Ron’s background in network computing and Paul’s in software development lead to what is now referred to as the NST WUI (Web User Interface). Given the wide range of open source networking tools with corresponding command line interface that differ from one application to the next, this was no small feat. The NST WUI now provides a means to allow easy access and a common look-and-feel for many popular network security tools, giving the novice the ability to point and click while also providing advanced users (security analysts, ethical hackers) options to work directly with command line console output. 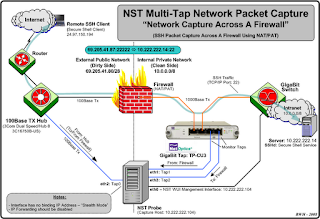 According to Ron, one of the most beneficial tool enhancements that NST has to offer for the network and security administrator is the Single-Tap and Multi-Tap Network Packet Capture interface. Essentially, adding a web-based front-end to Wireshark, Tcpdump, and Snort for packet capture analysis and decode has made it easy to perform these tasks using a web browser. With the new NST v2.16.0-4104 release they took it a step forward and integrated CloudShark technology into the NST WUI for collaborative packet capture analysis, sharing and management. usage on each configured network interface in pseudo real-time. He designed this application with the controls of a standard digital oscilloscope in mind. Ron is also proud of NST’s ability to Geolocate network entities. We’ll further explore using NST’s current repertoire of available network entities that can geolocated with their associated application, as well as Ron’s other favorites mentioned above. · Quickly identity which network components involved with operating the robot are "alive"
· Set up a Subversion and Trac server for managing source code through the build season. While Paul and team have used NST for robotics, it’s quite clear how their use case bullet list applies to the incident responder and network security analyst. NST, as an ISO, can be run as LiveCD, installed to dedicated hardware, and also as a virtual machine. 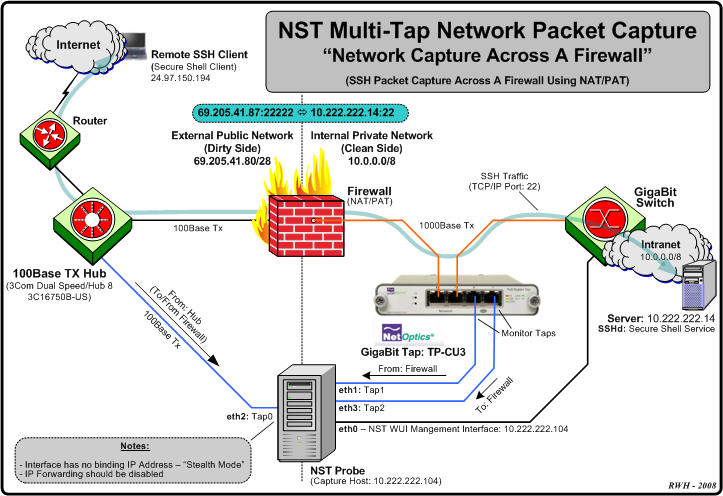 If you intend to take advantage of the Multi-Tap Network Packet Capture interface feature with your NST installation set up as a centralized, aggregating sensor then you’ll definitely want to utilize dedicated hardware with multiple network interfaces. As an example, Figure 1 displays using NST to capture network and port address translation traffic across a firewall boundary. Once booted into NST you can navigate from Applications to System Tools to Install NST to Hard Drive in order to execute a dedicated installation. Keep in mind that when virtualizing you could enable multiple NICs to leverage multi-tap, but your performance will be limited as you’d likely do so on a host system with one NIC. NST use centers around the WUI; access it via Firefox on the NST installation at http://127.0.0.1/nstwui/main.cgi. The first time you login, you’ll be immediately reminded to change the default password (nst2003). After doing so, log back in and select Tools -> Network Widgets -> IPv4 Address. Once you know what the IP address is you can opt to use NST WUI from another browser. My session as an example: https://192.168.153.132/nstwui/index.cgi. Per Ron’s above mentioned tool enhancements, let’s explore Single-Tap Network Packet Capture (I’m running NST as a VM). Click Network -> Protocol Analyzers -> Single-Tap Network Packet Capture where you’ll be presented with a number of options regarding how you’d like to configure the capture. You can choose define the likes of duration, file size, and packet count or select predefined short or long capture sessions as seen in Figure 2. If you accepted defaults for capture storage location you can click Browse and find the results of your efforts in /var/nst/wuiout/wireshark. Now here’s where the cool comes in. 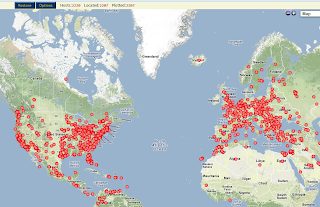 CloudShark (yep, Wireshark in the cloud) allows you to “secure, share, and analyze capture files anywhere, on any device” via either cloudshark.org or a CloudShark appliance. Please note that capture files uploaded to cloudshark.org are not secured by default and can be viewed by anyone who knows the correct URL. You’ll need an appliance or CloudShark Enterprise to secure and manage captures. That aside the premise of CloudShark is appealing and NST integrates CloudShark directly. From the Tools menu select Network Widgets then CloudShark Upload Manager. I’d already upload malicious.pcap as seen in Figure 3. Users need only click on View Network Packet Captures in the upload manager and they’ll be directed right to the CloudShark instance of their uploaded capture as seen in Figure 4. Many of the features you’d expect from a local instance of Wireshark are available to the analyst, including graphs, conversations, protocol decodes, and follow stream. 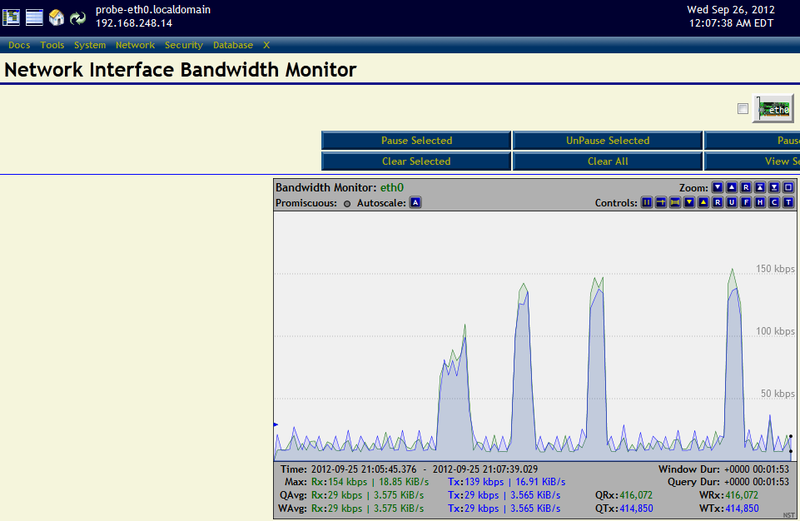 NST also includes the Network Interface Bandwidth Monitor. 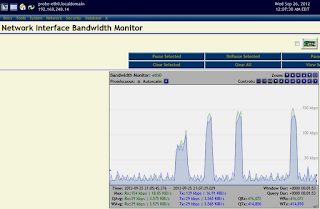 Select Network -> Monitors -> Network Interface Bandwidth Monitor. A bandwidth monitor for any interface present on your NST instance will be available to you (eth0 and lo on my VM) as seen in Figure 5. You can see the +100 kbps spikes I generated against eth0 with a quick NMAP scan as an example. NST’s geolocation capabilities are many, but be sure to setup the NST system to geolocate data first. I uploaded a multiple host PCAP (P2P traffic) via Network Packet Capture Manager, clicked the A (attach) button under Action and was them redirected back to Network -> Protocol Analyzers -> Single-Tap Network Packet Capture. I then chose to use the Text-Based Protocol Analyzer Decode option as described on the NST Wiki and clicked the Hosts – Google Maps button. This particular capture gave NST a lot of work to do as it includes thousands of IPs but the resulting geolocated visualization as seen in Figure 6 is well worth it. 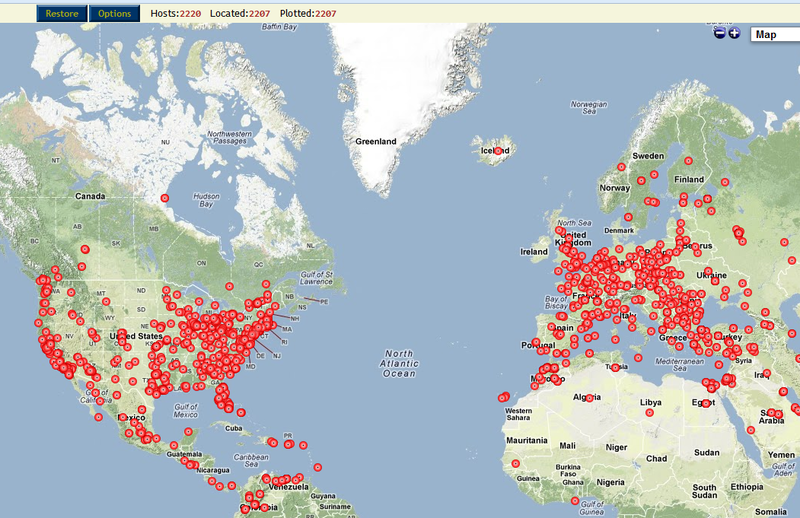 If we had page space available to show you the whole world you’d see that the entire globe is represented by this bot, but I’m only showing you North America and Europe. As discussed in recent OSINT-related toolsmiths, there’s even an NST OSINT feature called theHarvester found under Security -> Information Search -> theHarvester. Information gathering with theHarvester includes e-mail accounts, user names, hostnames, and domains from different public internet sources. So many features, so little time. Pick an item from the menu and drill in. There’s a ton of documentation under the Docs menu too, including the NST Wiki, so you have no excuses not to jump in head first. NST is one of those offerings where the few pages dedicated to it in toolsmith don’t do it justice. NST is incredibly feature rich, and literally invites the user to explore while the hours sneak by unnoticed. The NST WUI has created a learning environment I will be incorporating into my network security analysis teaching regimens. New to network security analysis or a salty old hand, NST is a worthy addition to your tool collection.